I don’t think I ever got a chance to share my wonderful Christmas present with you all (I was a bit busy with a little baby). Three months of secret planning and one huge surprise for this Mummy!! My wonderful hubby, just before Christmas surprised me when my brand spankin’ new Mini Cooper S Countryman arrived in the country! I had no idea I was getting it and it goes without saying that there were plenty of tears of joy that day. He picked it all himself and decked it out (asking me little questions along the way without being obvious – I thought nothing of them as we had planned to look at buying some sort of family car at the end of the year) to perfection. I’m sure I get plenty of looks when I pull up and get two kids out of a Mini!! But yep, they fit nicely… Them and the Strider Plus pram in the boot!! Who would have thought you could fit so much into a Mini. 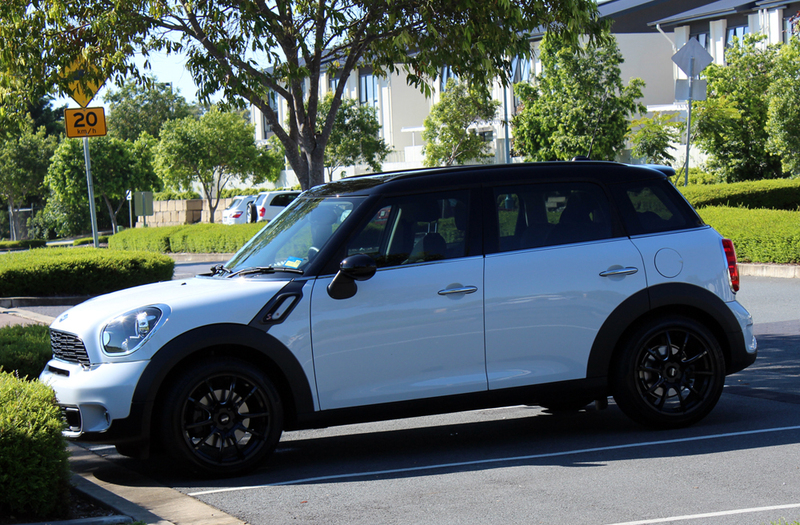 It is technically their compact SUV since there is no way I could have got two kids in a Mini Cooper, but I love it so much (so much so that I doubt I would want a plain Mini Cooper now). All those years ago before having children, we sold my precious MX5 with the intention of buying a Mini. But life changed for us and it wasn’t to be at that time (the good ol’ Global Financial Crisis – which affected everyone including us). After having Addison my dreams of owning a Mini went out the window as reality set in, knowing full well I would never fit him in plus all the baby paraphernalia. So here it is, my Christmas present. A Mini Cooper S (turbo) Countryman with chili pack and all the extras, the best Christmas present I’ve ever been given!